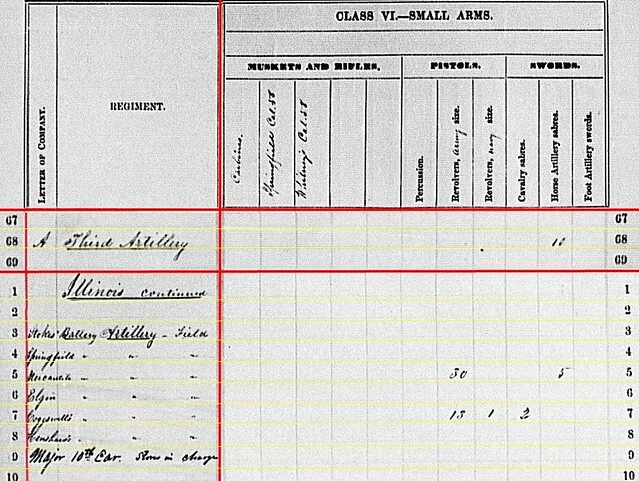 The 1st Regiment and 2nd Regiment Illinois Artillery offered some quirks in terms of weapons assigned or organizational assignments (particularly with the Thirteenth Corps being an evolving field organization). In addition to those two regiments, Illinois offered a collection of independent batteries for service. And these batteries offer even more “headaches” from the perspective of administrative tracking. 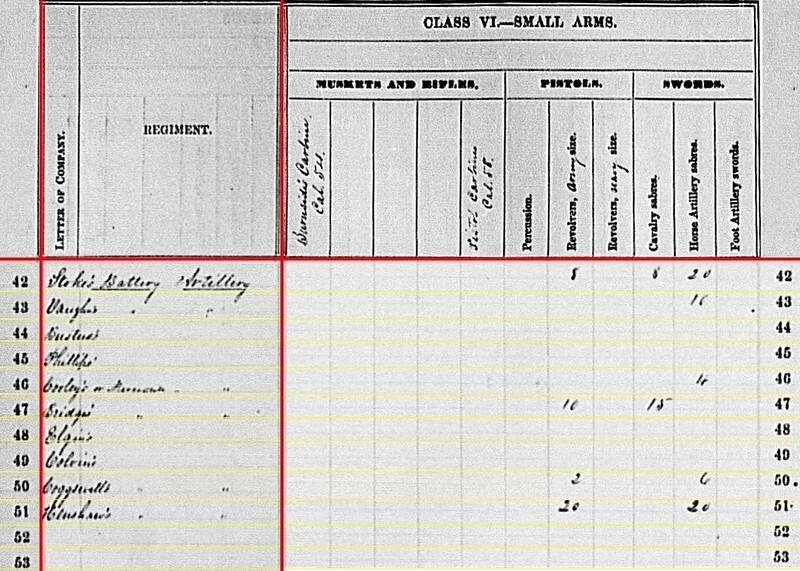 Battery A, Third Artillery: At Germantown, Tennessee (outside Memphis). Six 6-pdr James 3.80-inch. Follow the ball on this identification. This was Captain Thomas F. Vaughn’s battery (sometimes Vaughan, but Vaughn appears on his service card), better known as the Springfield Independent Battery (entry below). It was assigned to the District of Jackson, Thirteenth Corps in December 1862. However, I think the location referencing Germantown was valid for the date of the return – July 1863 – when the battery was posted around Memphis. Other portions of this battery’s summary raise questions, which we will discuss below. Stoke’s [Stokes’] Battery: No return. 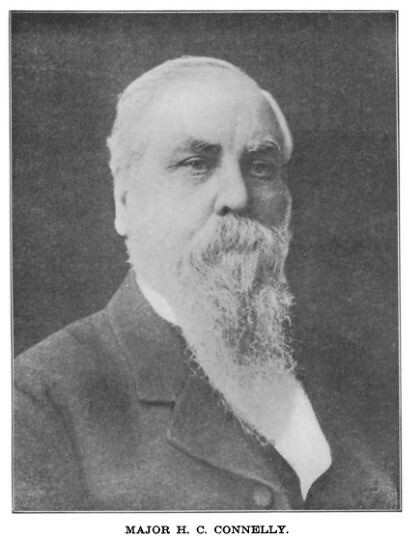 This was the Chicago Board of Trade Battery, commanded by Captain James Stokes. The battery played an important role in the fighting at Stones River. We know from reports the battery had four 6-pdr field guns and two James rifles in the battle. 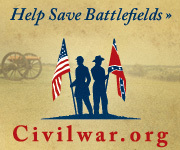 Stokes supported the Pioneer Brigade on December 31, 1862. The battery fired 1,450 rounds in the battle. Springfield Battery: With the annotation “Entered as Co. A, 3rd Arty.” I have no supporting documentation to explain why the battery would be designated as such. Perhaps the intention was consolidate all the independent batteries in a new regiment, but the idea never got past Vaughn’s. Mercantile Battery: Properly, the Chicago Mercantile Independent Battery, or Captain Charles G. Cooley’s Independent Battery. Date of receipt of its report was December 1864 – two years late! Location of Chicago, Illinois is indicated. The battery had been in Chicago until early November 1862. They moved to Memphis that month and participated in Sherman’s expedition to Chickasaw Bayou. The battery reported four 6-pdr field guns and two 3-inch Ordnance Rifles. Elgin Battery: Captain George W. Renwick’s Elgin Independent Battery. Just mustered in the previous month, this battery was posted to the Department of Kentucky in December 1862. No return posted. Coggswell’s [Cogswell’s] Battery: Captain William Cogswell’s Independent Battery. Originally Company A, 53rd Illinois Infantry. Another late-posted return (June 1864) has this battery at Nashville, Tennessee. That location is likely inferred due to the late report date. Official records indicate Cogswell’s Battery was at Memphis, and part of the Thirteenth Corps’ Right Wing. The battery reported four James rifles on hand. Henshaw’s Battery: Captain Edward Henshaw’s Independent Battery. No return posted. This battery had just been mustered at the time of report. 10th Illinois Cavalry: Stores in charge, reported by a major. The 10th was on duty in Missouri at the time. On November 7, 1862, a detail of the 10th Illinois surrendered at Clark’s Mill, Missouri. Among the weapons surrendered were two Woodruff Guns. In fact, one might say the ineffectiveness of those guns, compared to conventional artillery (in that case lowly 6-pdrs, if I recall). While no cannons or projectiles were carried in the summary, the 10th Cavalry had some implements on hand (though the return was not received until March 1864… slow mail). The Springfield Battery, which indicated no smoothbores on hand, had 12-pdr howitzer ammunition – 72 shells, 42 case, and 50 canister. The battery originally formed with a section of 12-pdr howitzers and apparently still had ammunition stocks left. The Mercantile Battery had 308 shot, 252 case, and 252 canister for its 6-pdr field guns. The Springfield Battery had 180 Hotchkiss canister for James 3.80-inch rifles. The battery also reported 250 James patent 3.80-inch shot, 451 shell, and 30 canister. 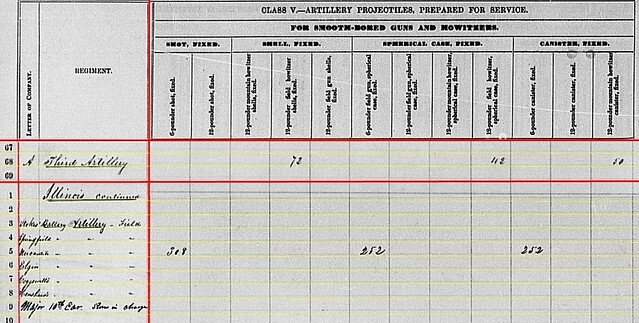 Cogswell’s Battery also had James Patent projectiles – 25 shot, 350 shell, and 74 canister. 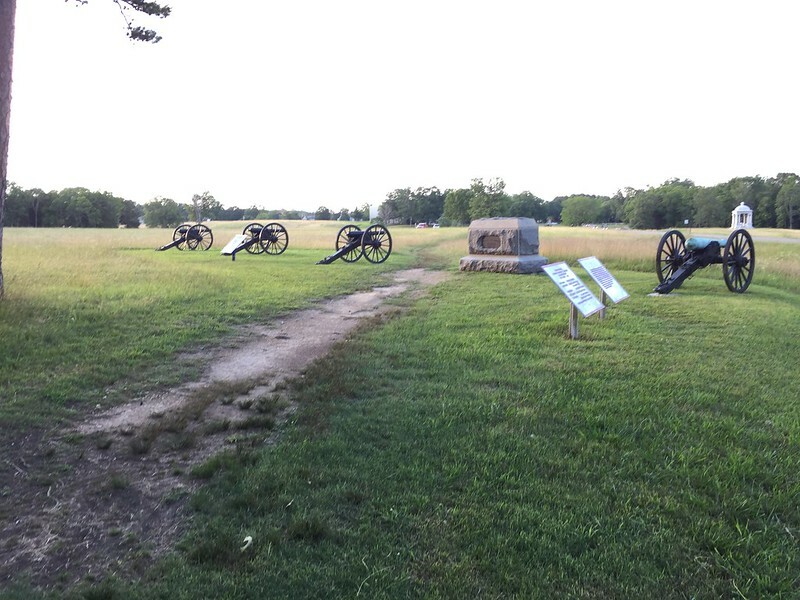 Springfield Battery: 10 Horse artillery sabers. Mercantile Battery: 30 Army revolvers and five horse artillery sabers. Cogswell’s Battery: 13 Army revolvers, one Navy revolver, and two cavalry sabers. One last note on the “others” listed here. Looking specifically at the equipment reported by the 10th Illinois Cavalry, I find the “major” reported four sights for 6-pdr Wiard guns on hand, along with a few other implements specific to that caliber and make of weapon. 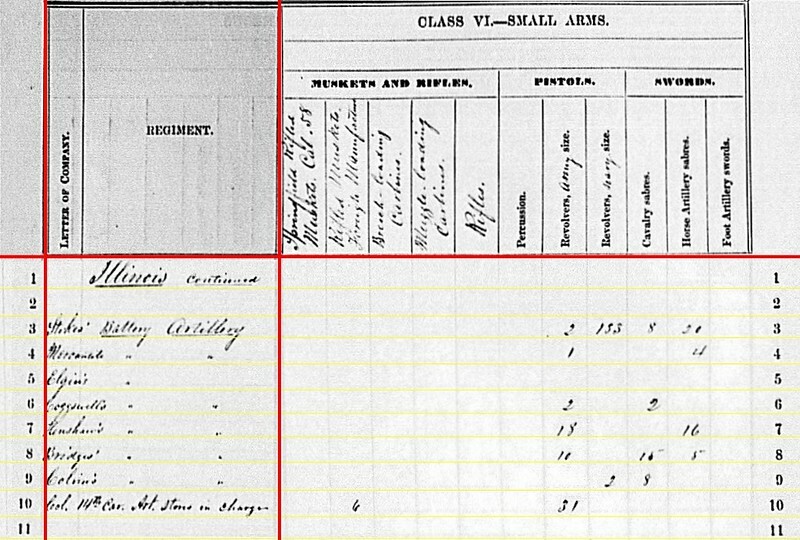 My first inclination is that the 10th Illinois was reporting the implements for Woodruff guns. 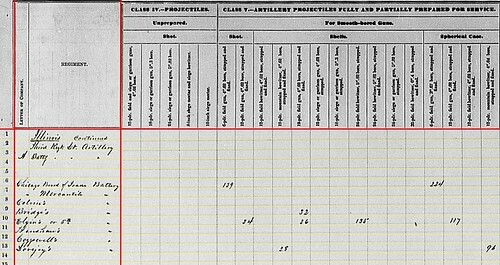 The closest weapons on the printed report, in terms of caliber, would be the 2.6-inch, or 6-pdr, Wiard gun. Likewise, it may have been that in lieu of custom made Woodruff sights and sponges, the 10th was issued those made for the Wiards. 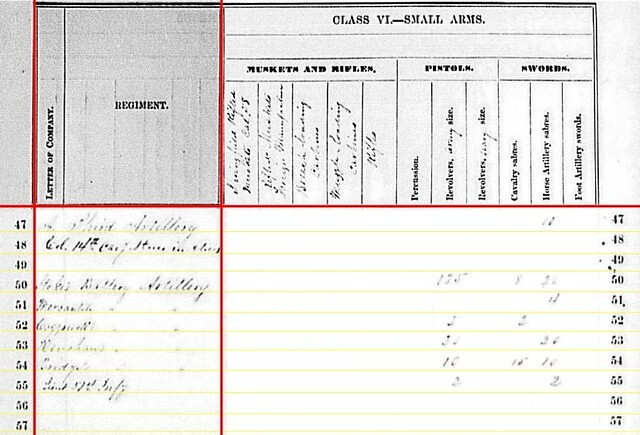 Regardless, that the 10th Illinois Cavalry, way out in remote southwestern Missouri, had to report these items (along with artilleryman’s haversacks, punches, and other artillery-specific equipment) speaks volumes for the tenacity and pure resiliency of those in the Ordnance Department!